That's probably going to change in the next few years. 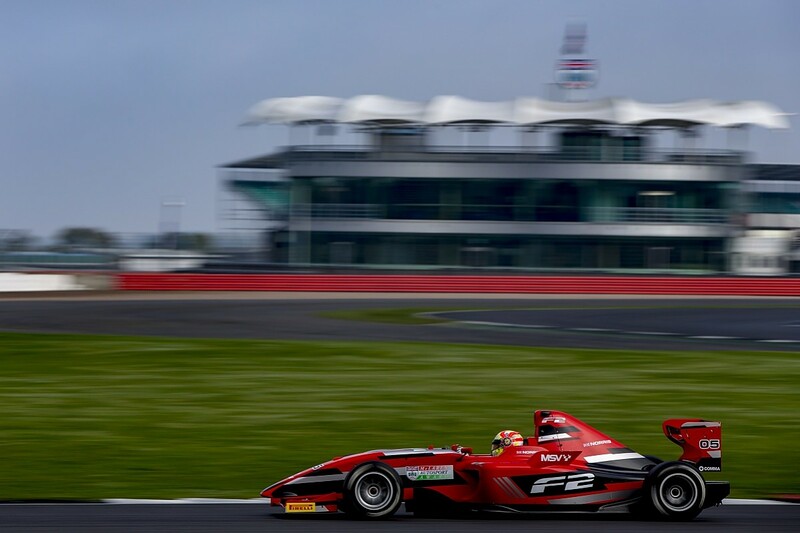 GP2 frontrunner Oliver Rowland, soon-to-be-confirmed Mercedes junior and GP3 racer George Russell and Will Palmer, younger brother of Renault F1 racer Jolyon, are all Award winners, and all stand a good chance of cross the F1 threshold. All have obvious promise, but Norris is a little different. His name is on a lot of people's lips, and not just because it's unusual and allows people to make the odd Star Wars joke. It's because there's an air of inevitability about his career trajectory and of excitement about just how good he is going to be. "In all honesty all I'd heard, like many other people, was the hype," says two-time British Touring Car champion Jason Plato, one of the Award judges. "It's very tricky to know 'is he in the best car?' and all that sort of thing. There was anticipation just to see for ourselves. "It became obvious fairly early on that this young lad had some real star quality." Norris turned 17 last month, which means at 16 the former world karting champion had four single-seater titles on his CV - MSA Formula (British F4's predecessor), the Toyota Racing Series in New Zealand, Formula Renault Eurocup and Formula Renault NEC. 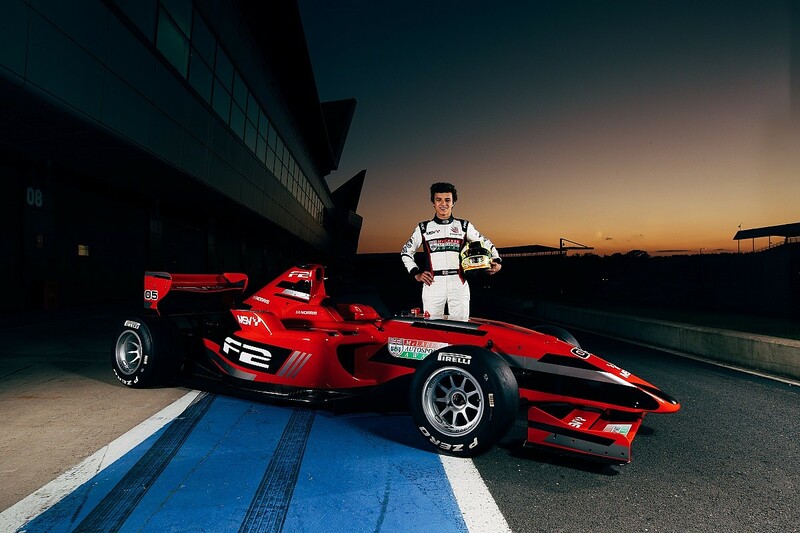 He's also won BRDC British Formula 3 races this season, made his European F3 debut and contested the Macau Grand Prix. Seat time has been bountiful for a young man from a privileged background. This is not something he shies away from, and nor is it something that should be held against him. Resources buy you opportunities; hard work and ability turn that into success. "He came in with everybody saying he's done a million miles in testing, raced in four championships, tested F3 cars, that he's a guy who needs his miles," says Warwick. "But he didn't get miles in the GT, or the DTM, or the F2 car. We all know he's tested and driven the cars he's wanted, but this was the moment to stand up and prove to the world he can compete with the best." Norris admits that winning the Award offered him some personal satisfaction - he's a sharp young man, one who is all too aware of the chatter that surrounds him (like talk of hiring circuits for private testing and unlimited running in Formula Renault and F3 machinery). "You hear what people say, how I'm only good because I've done X amount of testing or I have the best equipment," he says. "To come into this, in my first year and when others have come back for a second time, when you don't know anything and can't test different things, it says something a bit more about me. I'm not just a guy who does a lot of testing, it shows I'm kind of a good driver..."
Modest, too. Norris was phenomenal in the F2 cars, displaying searing speed on old tyres and new tyres over both days. He was super-fast in the Mercedes DTM machine, and left a significant impression on McLaren after his 650S GT3 runs for a driver so inexperienced in GT machinery. "He was stunning, outrageous and unbelievable in all three disciplines, over two days," says Warwick. "Every now and again someone comes along that's different. I distanced myself from him a little bit during the tests because I don't like to get too close to all four, I want to judge them for what they do out there. And Lando is special." Plato likes to watch the F2 runs at Stowe and at Maggots/Becketts to get an idea of the driver's commitment and car positioning at those high-speed and crucial corners. "If I could prioritise the elements in order that made a lasting impression, it's how he drove the car," he says. "Just the level of total control. We're only talking an extra 0.5mph or 1mph through the corner, but it looked as if he had double the grip of anyone else. That's just what he was doing differently. "The one thing that sticks out in my mind is his line or car positioning and the way he drove through Maggots, Becketts and Chapel. The car always gets a bit skatey there, you always have to give a little bit and not bite and attack. Over the years we see everybody attack that corner and he just had control like no-one else. "It wasn't that he'd gone steady there, he was just totally the boss. Not just in placing the car right, but the right rotation. It looked supremely ace. I've not seen that there, out of anybody." That suggests Norris is able to develop a detailed picture in his head of what is normal and what is not. He is able to focus entirely on the task at hand (driving bloody fast) while relying on his brain's inner model to take care of the intricacies - the track goes in this direction, this marker is here, this reference is here, and so on. And as that inner model becomes more sophisticated - or more sensitive ­- Norris is rapid on the draw when something out of the ordinary crops up, even if it's right on the periphery. "I seem to notice things that are different pretty quickly," says Norris, who has developed into a very cerebral driver at a very young age. His awareness, intelligence and composed character meant he made a significant impression out of the car as well. "This is not decrying any previous winner at all, because we've had some brilliant people, but the level of completeness in his approach, in the way he looks at data, the way he spoke to his engineer, the way he kept himself to himself... the whole make-up of the lad, it's not commonplace," says Plato. "Not for someone who is 20, 23 or 25...and it most certainly, definitely isn't for a kid at 17. His approach was breathtaking actually. "He's a very impressive young man - his demeanour, the way he shakes your hand, looks at you, the way he pauses before he answers. He thinks about it. He's not being interrogated by someone at Sainsbury's, he's under the spotlight of Derek Warwick, David Brabham, journalists, McLaren engineers... it's a tough day and he was supremely impressive. "We spent quite a lot of time listening, prodding and poking just trying to get inside their head, just to translate what we think we were seeing into what was going on. And he was light years ahead. He knew exactly what he was doing, he was just on top of the game. "And honest to the point of stabbing himself in the leg..."
That last point is a reference to an admission from Norris that his GT inexperience - not being used to be sat on one side of the car - led to a half-cut of a corner on one run. But it also highlights another character trait that bodes very well for Norris to continue his development - a burning desire for self improvement. To say the teenager is unflappable would be premature so early in his career. There have been mistakes - crashing out on the first lap of the Macau qualification race, for example - but he learns from them quick (26th to 11th in the main race in Macau attests to that) and has demonstrated a superb capability to handle pressure. "I've seen many drivers come into our Award as the favourite and they come out not that way," says Warwick. "There's people that cope with the pressure and people that can't. "What I also like is he set out a plan during the two days and he didn't deviate from that. He knew he was good enough, in an understated way - he wasn't brash." Norris says: "I was pretty happy with how the two days went, but there are always a few things you can improve on. Even if you go out with the mindset of not wanting to leave anything on the table, there's always things you can improve on. Not lots, but a few things, a mistake here or there. "[That attitude] is key to improving myself and become better. It's something you have to do, it's what you need to be the best." That attitude makes him well placed to make the most of his latest opportunity. He will be the first person to benefit from the new prize structure. His F1 test with McLaren remains, but perhaps more important is the work he will do on the team's simulator and the benefits he will gain from being part of the McLaren young-driver programme. McLaren's Eric Boullier says he wants "the winner of this Award to be ready for F1", and Norris has immediately targeted the fitness and simulator expertise at the British team as something he is desperate to tap into. "I'm not just excited, but motivated as well," he says. "I don't just want to get to F1, I want to win. Having access to the training facilities and simulator, and the guys there that have the knowledge of the other Formula 1 drivers, I've got resources I need to get to that point. "I know I'm not the biggest guy in the world, there's a lot of improvement I need to make. I need to get to a much higher level physically, to be able to drive and be on top of it, to know what I'm doing without worrying about anything else. That's a big thing." The next step is going to be European F3 and Norris is widely expected to race with Carlin, the British team that ran him to the MSA Formula title in 2015 and BRDC F3 victories in his bit-part campaign in 2016. This will be Norris's toughest on-track fight of his career, because he will be competing against drivers of far greater experience in the car and the championship. As a rookie it will be tough, but the target will have to be to emulate the likes of Esteban Ocon, Max Verstappen and Charles Leclerc - after all, that is the sort of company the Norris name is expected to keep in the coming seasons. Everything so far suggests that is not unrealistic at all. "There were doubts beforehand," Plato admits. "Could it be because he's always in in the best car, with the best budget? What this process did is made those doubts disappear. Everyone has the same chance. There's no better barometer than this. "I'm sure most of the industry think he's won because of this or that. It's because the lad's a superstar in the making."